Parliamentary elections in India, the world’s largest democracy, commenced on 7th April and culminated on 16th May 2014 with the declaration of results. The entire electoral process from the day the Election commission announces the poll dates till the time new government settles, is marked by uncertainty and anxiety in the stock market. Historically markets have reacted differently during each period in the entire electoral process. 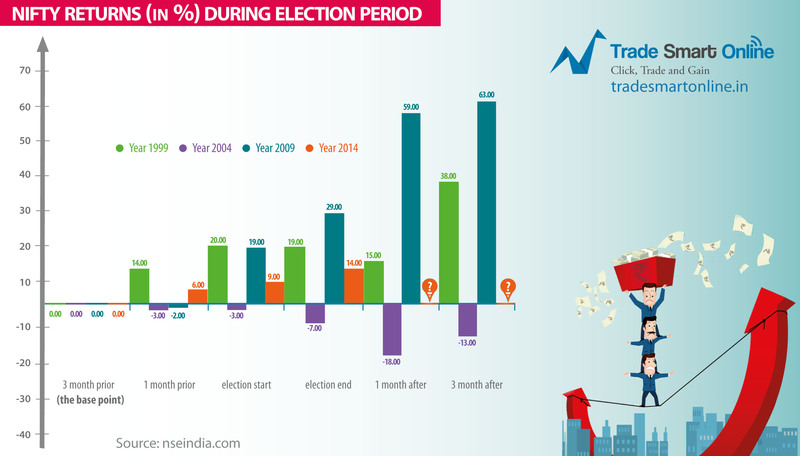 Below through an infographic we have shown Nifty returns during past general elections.